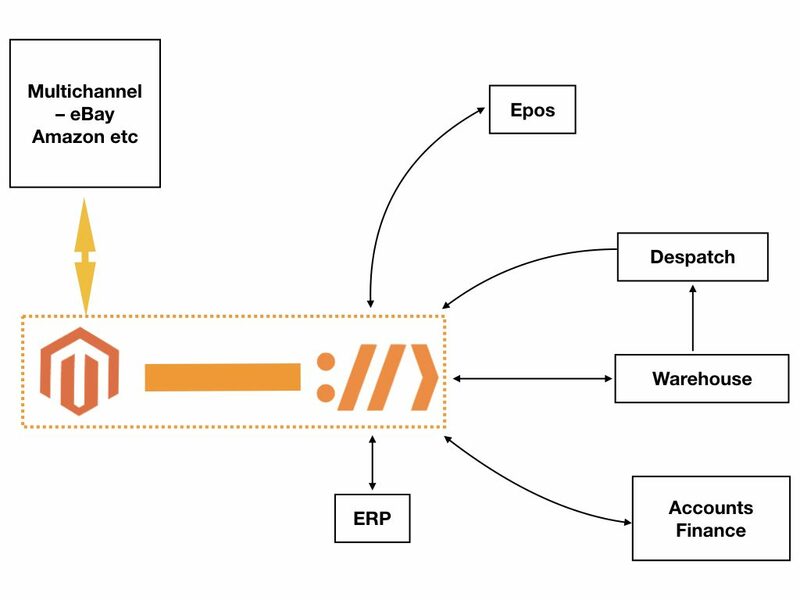 How do you integrate your systems so that your on-line orders, in-store EPOS customers, stock, accounts, warehouse… are seamlessly shared across your business while leveraging all the functionality and control of Magento M1 and M2. The answer is to let our specialist integrators link your Magento store with your pos and business systems. Integration means that your products, prices, customers, orders, stocks, discounts, financial records etc etc are preserved across your business systems. Customers will be able to buy on-line and in-store, preserving their account details across pos and Magento while stocks and financial information will automatically be updated to provide live numbers in all systems. Build custom Magento Extensions that will communicate with appropriate “middleware” that sits in front of the business systems and enables comminucation with it. Install and configure existing Magento extensions. What is the degree of automation required? Is data required to be live or can it be batched? Is an existing API available? Is an existing Magento extensions available for the target Magento version (M1 or M2)? Is secure access possible to the target system? Orders exported as formatted files and auto-transferred to warehouse for processing. Call us now on 03458 699965. Contact us today to discuss integration of ecommerce data across your business, or to arrange a meeting. Email us on [email protected]. Chat with us for instant feedback. We are online most of the time during office hours, or leave a message. Here at Accentika Internet we take your privacy very seriously and will only use information you supply to administer your account and provide you with any products, services or information that you have requested from us.